Liza Greene is on the run. She has recently become a widow when her husband, James, was shot and killed in a bar fight. However, she knows that it was no simple bar fight, and the man who shot her husband has been plotting his death for a long time. Glenn Burrow, a wealthy businessman in town, has had his eye on Liza for years. She know she will undoubtedly cover up the murder he has committed, so Liza takes matters into her own hands. After committing the worst of crimes and exacting revenge, Liza knows she must get out of town as quickly as possible. She answers an ad for a bride and heads across the country. Unable to trust anyone, she hides her past, and to make matters worse, she mistakenly marries a sheriff. She has a difficult time learning to love him, and with Valentine’s Day around the corner combined with the shock of her husband’s recent death, Liza finds love to be an incredibly sore subject. But when bounty hunters show up looking for her, the truth comes out. 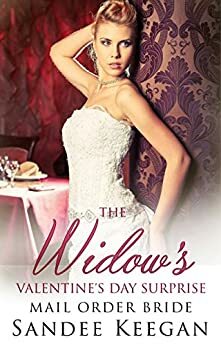 Her husband is then faced with the decision to turn her in and stay true to the law he has sworn to serve, or choose love over all. Will Liza be tried for her crime? Will her husband hand her over to the bounty hunters? Will love prevail?